Workshop starts at 1:00 pm (approx. 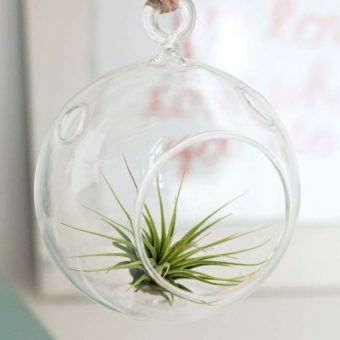 1.5 hrs) Workshop fee: $45 Workshop ticket includes workshop instruction, air plant, container and and all other items needed for the workshop as well as entrance into Canada Blooms and the National Home Show. Workshop will be held at the Gardening Workshop Experience Area G30 (Hall G). Stop by Salon 107 for directions to the Workshop Area about 1/2 hour before your session. Note: Final vertical garden will depend on materials available and may not look like picture.